Games allow players to explore strange worlds and live out dreams. At least, that's the concept behind the third-person, single-player adventure game known as Morpheus. Players control a shape-shifting character through a surreal landscape which challenges conventional ideas of reality. Morpheus was the Roman god of sleep and dreams. In the game that bears his name, a broken hero must confront past failures when he wakes in a world of dreams. Journeying through the hero's memories, players discover a variety of strange creatures. 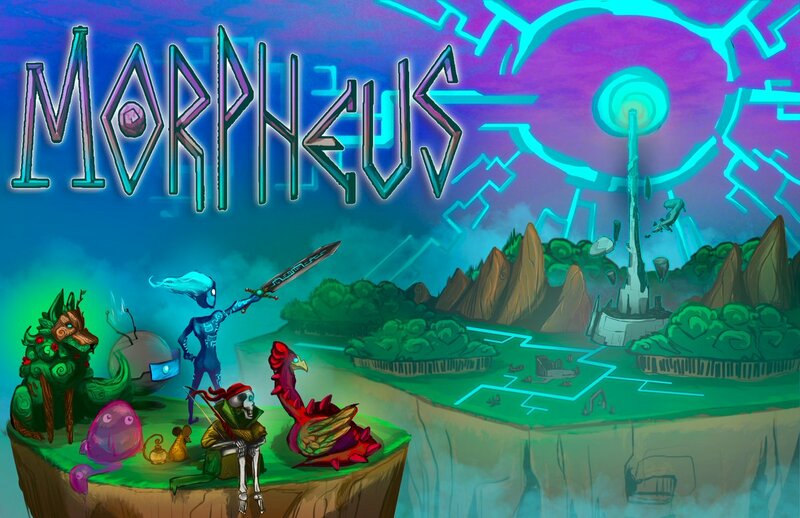 As in most third-person adventure games, players can choose to slay creatures to gain experience, but Morpheus gives them another fascinating option: shapeshift into the captured creature and use its form to solve puzzles that unlock new regions of the game world. The creator of Morpheus is Julio Ureta, who studied game programming at UAT. A team of developers work on the game, including Roger Schoellgen, who describes the game as "surreal" and "really unique." His passion for the game comes across as he describes how "it has destruction that you can see from a distance just swirling around." Like the creatures that inhabit it, the Morpheus world is an uncertain, shifting place. The team work together in UAT's Commons. They say that working together to create the game has been a fantastic experience, as they have been able to gain experience of working in a team to achieve a common goal. By exchanging ideas and working together to solve problems, they have been able to build a game world where every character and form has its own backstory. Players can enjoy discovering these stories as they move through various shapeshifter forms to explore the game world. According to the UAT team, Morpheus is different from other single-player adventure games, like Zelda, because it gives players a real connection to the methods they use to solve puzzles. The forms on offer are more than weapons or tools; they're characters in their own right. Morpheus won Best in Show at the UAT 2017 Student Innovation Project Fair. With support from UAT Game Studios, the team home to develop it further. 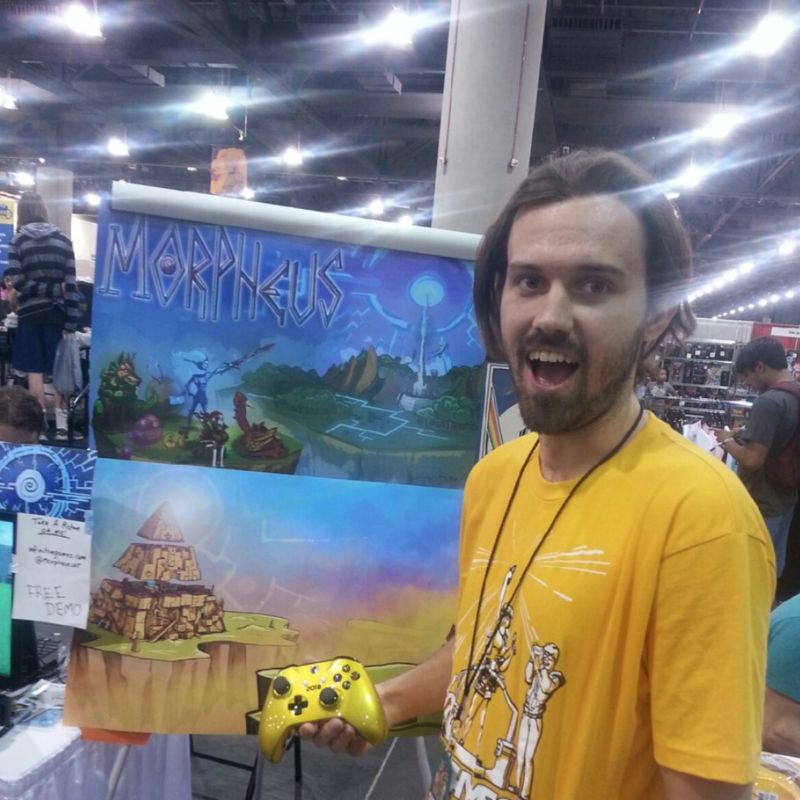 Morpheus has already featured at the Southwest Video Game Showcase in July 2017.